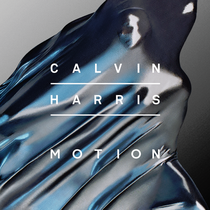 Straight from his #1 hit single and seventh chart topping track ‘Blame’, Calvin Harris recently announced his brand new album ‘Motion’; to be released 3 November 2014. The album will feature a myriad of chart topping artists including Ellie Goulding, Gwen Stefani, Haim, Tinashe, Big Sean, Hurts, John Newman, Firebeatz and R3hab. Calvin’s approach to dance music has been fantastic, summed up by latest single ‘Blame’, which had a number of Spotify world records also smashed – being the first UK artist to reach a billion streams, fastest artist to reach #1 in the Spotify chart and the first to reach 10 million plays on a track in a week. Alongside ‘Blame’, ‘Motion’ will also feature two more number one singles in ‘Under Control’, the collaboration with Alesso featuring Hurts and ‘Summer’. Calvin’s summer of festival appearances culminated this month in an iTunes Festival performance in London on the day of ‘Blame’’s release.